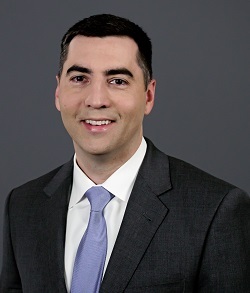 Josh Hill is a former Judge Advocate in the United States Marine Corps who focuses his practice on military criminal defense and civil litigation involving servicemembers and veterans. While on active duty, Mr. Hill gained extensive military justice experience while serving as both a prosecutor and defense counsel. In these billets, Mr. Hill served as lead counsel in a wide-variety of criminal cases including sexual assault, larceny, drug abuse and possession, assault consummated by battery, obstruction of justice, false official statements, misuse of government resources, unauthorized absence, adultery, and orders violations, consistently achieving positive results for his clients. Mr. Hill also served as a deputy staff judge advocate while on active duty where he advised commanding officers and their staffs on the full spectrum of military justice and administrative law issues. In this capacity, Mr. Hill served as the supervisory attorney for equal opportunity/sexual harassment claims; personal injury claims involving loss or damage to government property; and in all civil matters involving potential litigation against the United States at MCRD/ERR Parris Island, South Carolina. Prior to joining Military Justice Attorneys, Mr. Hill practiced pharmaceutical, medical device, and healthcare litigation with a large civil defense litigation firm in Mississippi. Mr. Hill won the 2018 Burton Award for distinguished legal writing. Mr. Hill earned his law degree from the University of Mississippi School of Law and is a member of the Mississippi bar.